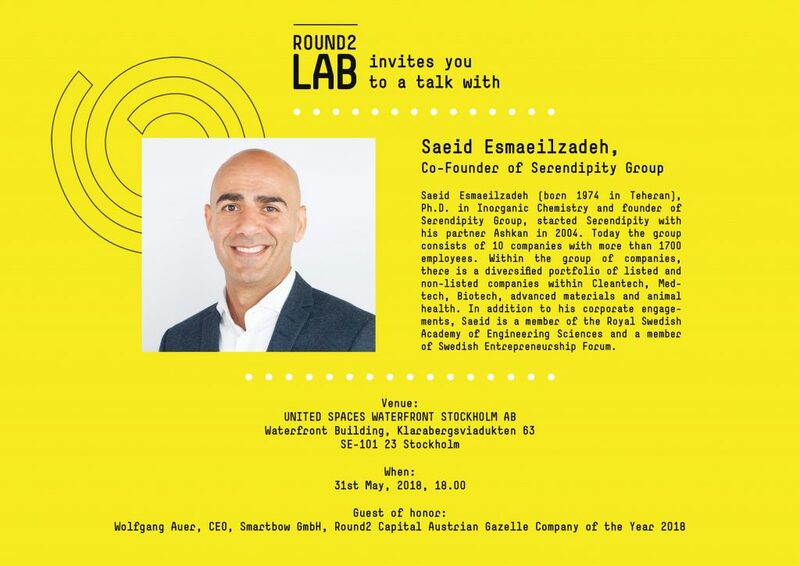 On May 31st we’re launching the Round2 Lab in Stockholm and would like to celebrate the start of our program together with you at our networking event Round2 Talk with Saeid Esmaeilzadeh (Co-Founder Serendipity Group). As a serial entrepreneur, Saeid Esmaeilzadeh established and managed a range of research-intensive companies in various industries within the last years. 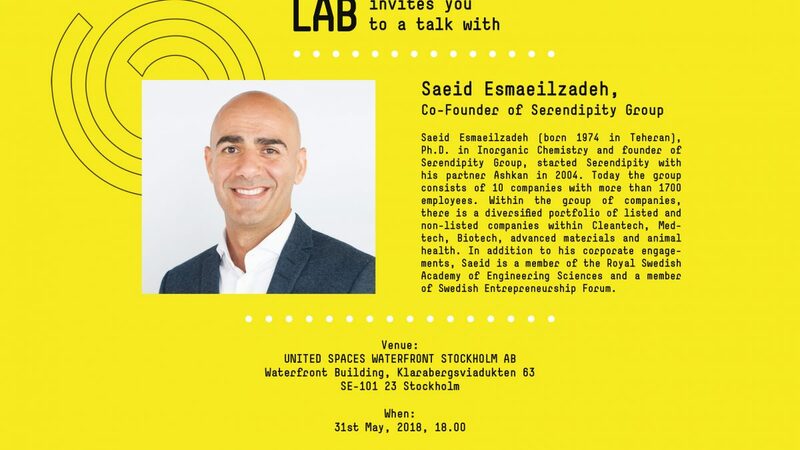 Saeid holds a Ph.D. in Inorganic Chemistry from Stockholm University and will give us insights into his previous career as executive and non-executive board member at Swedish and international companies. In addition, the winner of Round2Lab Vienna 2017/2018, Wolfgang Auer (CEO Smartbow GmbH) will join us for this event as our guest of honor. Apart from the Round2 Lab participants, a group of outstanding Swedish entrepreneurs, you will meet our business partners, representatives of our sponsors, Round2 investors and other innovative minds and supporters who share our vision! We’re looking forward to an informative and enjoyable evening with you! To participate you register here. Let us know latest by May 28 2018 if you will join us!